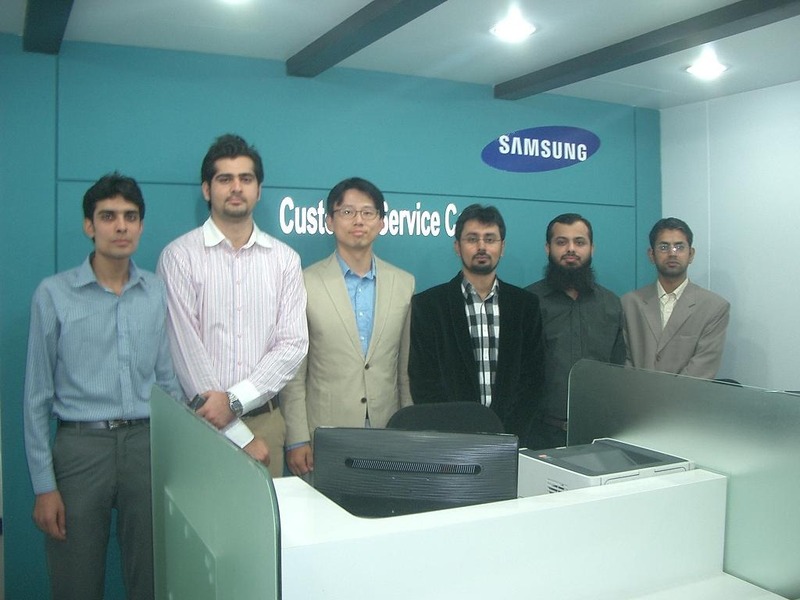 Samsung has extended its support and after sale services in Peshawar to facilitate its customers. Service center is equipped with latest state of the art lab, to make sure that customers’ queries are entertained in timely and efficient manner. Picture shows Mr. Roy Chang, Manager Samsung Electronics, Mr. Zeshan Quershi, Head of Samsung Mobiles and Mr. Danish Haroon, Director Teletec Enterprises at the inauguration ceremony of a Customer Service Plaza at Bilaur Centre Peshawar Cantt. Congratulations to Samsung on this occasion. Dear Please send me the Complete Address of above mentioned Samsung service centre of Peshawar. Bilor Plaza, first floor Saddar Peshawar. Do you have cameras? if yes would you please tell me the price of Samsung wb30f? dear this is a Samsung office Peshawar? Unfortunately, whiztouch has stopped working. Now how can i fix this problem. Even there is no option to uninstal the update. can u plz tell me the prize of note 3 lite 7505 original battery?